Strippy Stars by Jo Morton of Prairie Hands Patterns. Pattern is beginner/advanced and features a scallop edge on each corner. 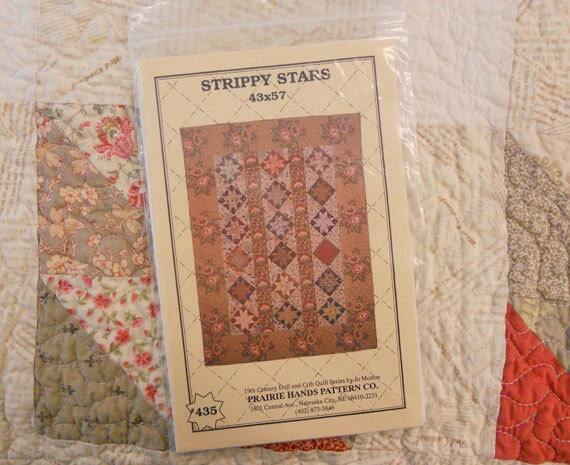 This listing is for the Strippy Stars pattern.